If you were expecting something red then think again! 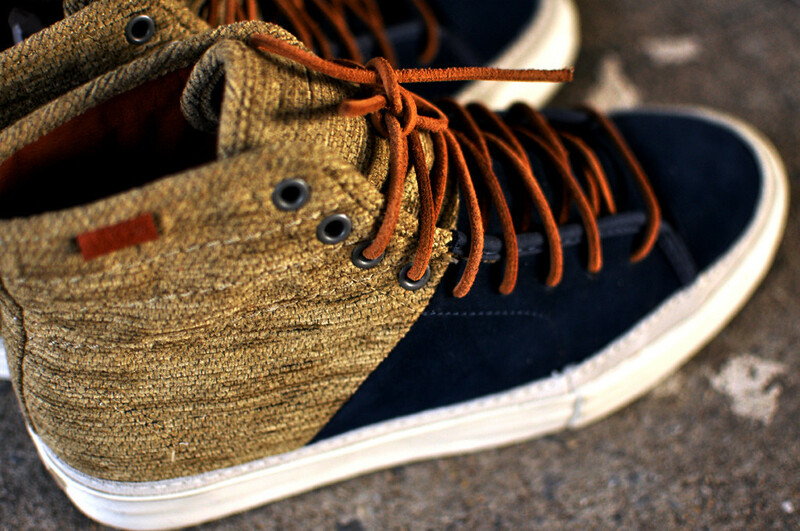 However, this is a shoe I love. 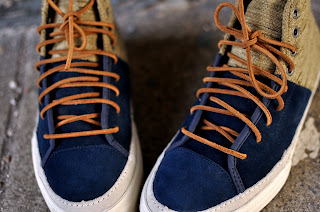 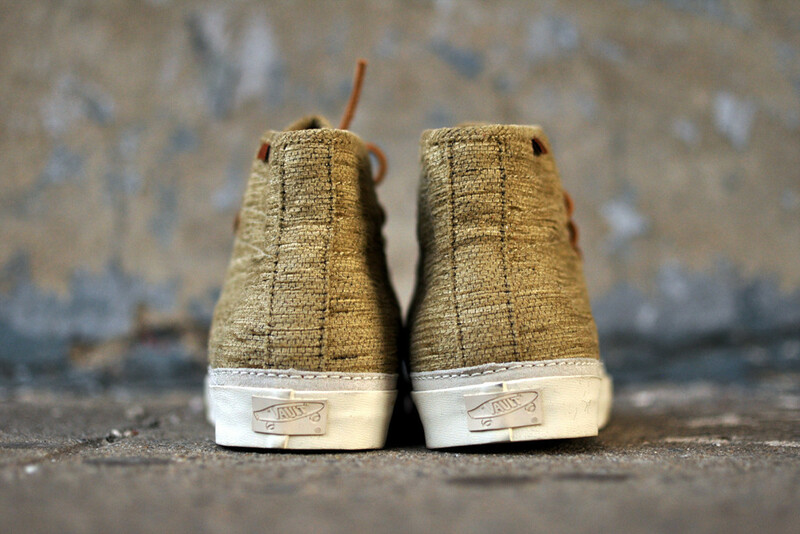 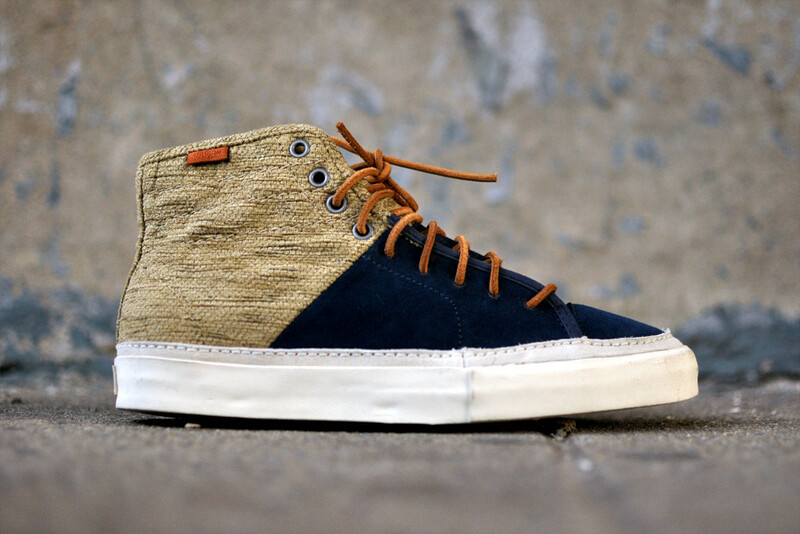 The textures of the Mediterranean blue suede, the crude raffia-like upper and the earthiness of the leather laces all conspire to make this Vans Vault Priz Hi 2 my love affair for today. 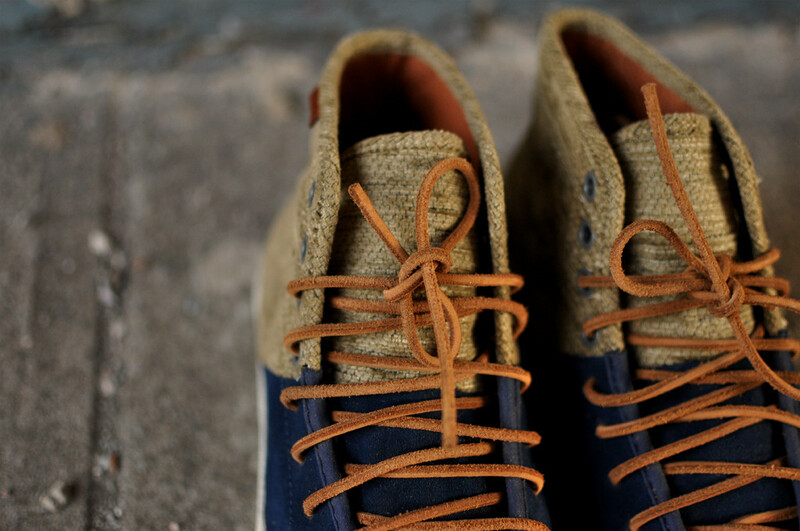 It's perfect for the spring season with an overall attractive two-tone design and comfort factor that Vans Vault shoes bring to the table. 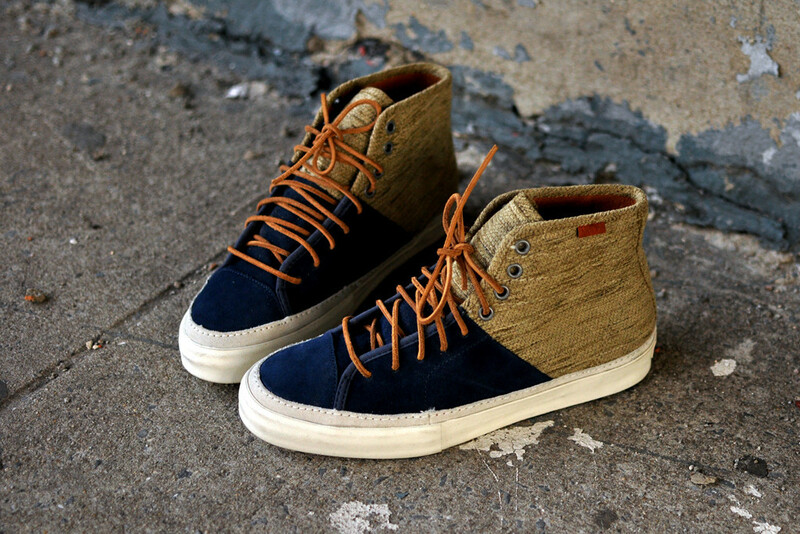 Available now at KithNYC.com and their website.